Laura was born and raised in Upstate NY. Laura attended NC Dental University where she obtained her Dental Assisting degree. Laura now resides in Wake Forest with her two beautiful children, her daughter Raelyn and son Asher. In her free time Laura enjoys spending time with her family and loves the outdoors. When she was younger Laura traveled the globe on several mission trips to Australia, Africa and Mexico. Rocio was born in Ecuador and came to the US as a young teenager looking for the American dream. 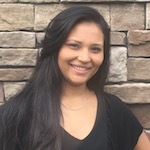 In 2003, Rocio graduated from the UNC dental assisting program, where she was awarded the Sara O’Daniel Clinical Excellence Award. She joined the TFD team in 2011. Rocio has two active children and in her spare time she enjoys gardening. She’s bilingual and often goes on mission trips to help with translation. Tammy Jo was born and raised in Richmond, Virginia. She started working in dentistry in 1998 and was trained in the office. She became a National Certified Dental Assistant in 2008 when she came to North Carolina. She found her passion was general dentistry and joined the Triangle Family Dentistry team in 2016. When she is not finding new ways to help her guests, she enjoys spending time with her Labrador, Ruffie, at the local park or at the race track watching her husband race. Nikki is a 2012 Graduate of Nc Dental University. She loves to work with guests and getting to know them more. In her free time, she enjoys being with her son, being outdoors and loves to paint. Nikki looks forward to welcoming you to Triangle Family Dentistry. Kelsey was born and raised in North Carolina. For as long as she can remember she had an interest in the dentistry field. Kelsey’s dream is to be a dental hygienist and she is currently taking classes through Wake Tech as a pre-dental hygiene student. Outside of work, Kasey enjoys being a mother of two boys, dancing and cooking. Kelsey loves being a team member at Triangle Family Dentistry! Kasey was born in Henderson, NC and raised in Oxford, NC. She graduated from the Dental Assisting program at NC Dental U in May 2017. She recently got married in a beautiful beach wedding to Tommy Ray in September 2017. Kasey enjoys being part of the TFD team and is looking forward to growing her career in Dentistry. Nina was born in India, and moved to the US in her early teens. Since then, she has lived in many different states. She moved to Rocky Mount, North Carolina in 2007 from Indiana. 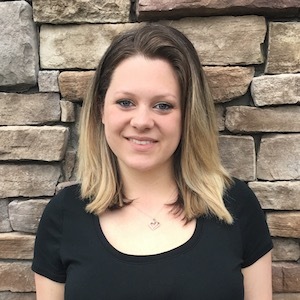 She graduated from Wayne community college with a diploma in dental assisting in 2011 and is a Certified Dental Assistant. She met her husband in Canada and moved to Wake Forest in 2015. She also speaks three languages! Nina joined TFD in 2017 and she loves having friendly conversation with patients and making them feel at ease. In her free time, she loves to travel, cook and enjoy company of family and friends. Dawn was born in New Port Richey, Florida but grew up in Newport News, Virginia. She moved to North Carolina in 1992 and currently lives in Nashville, North Carolina with her husband of three years. They have five children together, and five grandchildren. She enjoys spending time with her family, photography, cooking and baking, watching college basketball (Go Heels!) and traveling. Dawn graduated from the dental assisting program at New Horizons Technical Institute in Hampton, Virginia. She became a National Certified Dental Assistant in 1993. Dawn has been in dentistry for over 26 years, and loves it just as much today, as she did when she first started. She enjoys helping people achieve their best oral health, making them smile and feel proud of their teeth. She enjoys volunteering in her community as well as the “Give Kids a Smile” program, “The Baptists Men’s Dental Bus” and any other dental program that she can offer her assistance to in the community.